Maybe there’s someone out there thinking of buying a package of gummy candy but she doesn’t because the candies aren’t healthy enough. Maybe she would buy said gummies if only they had a “with vitamins!” message on the package. I guess this is plausible. But this isn’t me. I could give 2 f*&^s if I’m getting a dose of vitamin C with my gummies. When I want candy, like Bow wow wow said, I want candy. 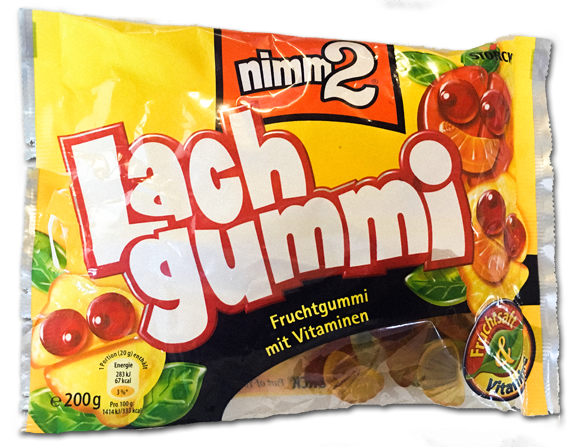 These Lach Gummi from Mimm2 (let’s all agree that’s a weird company name) have “mit Vitaminen” right on the package and for that reason I wasn’t going to review them. I don’t necessarily want to propagate annoying marketing. Still, since I was eventually going to eat these things no matter what, and because I actually kinda liked them, I thought it my duty to look past my idiosyncrasies and post a review. These are good. Whether it’s the vitamins or not, there’s a slight zing to the gummy – not quite tart and definitely not sour. There’s a good firmness to these too, which I like in my gummies. The flavors are fine but not super deep. If I eat them and don’t look at them, not sure what I’m eating…however, one flavor is mint…At least I think it is; it has a tinge of that, and the piece itself is mint-leaf shaped. I like the idea of a mint gummy. They should go further with it. 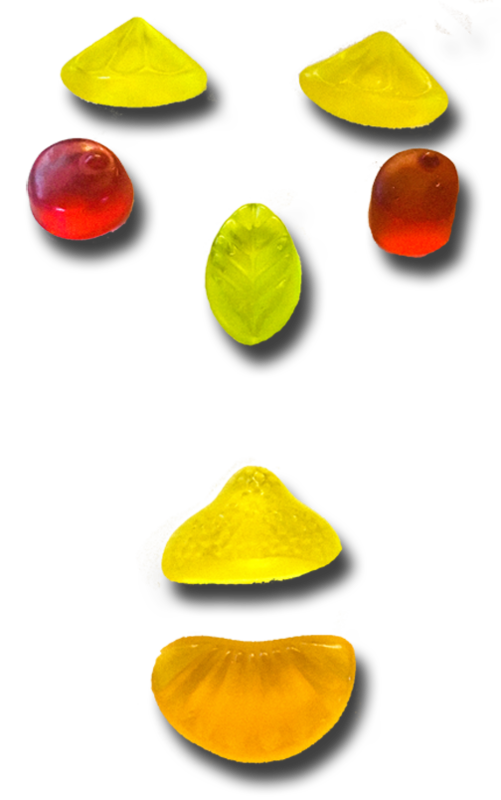 Overall, Lach Gummi’s are worth eating because they’re occasionally surprising and in line with what I expect from German gummies. This reviewer gives a general thumbs uppish. The company name “Nimm 2” means “take two”. They started out with liquid filled hard candy (thousands of years ago), and all bags had two different flavours: orange and lemon. Nobody liked the lemon ones, though. Their commercials recommended to “take two” – hoping people would have one of each flavour.. which nobody ever did..so you ended up with a half full bag of lemon hard candy that died in a cupboard somewhere..